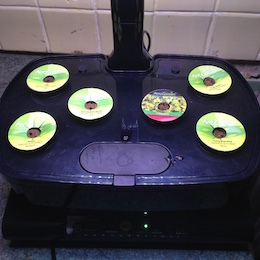 Setting up your Aerogrow Aerogarden is really simple - it's also incredibly exciting as you imagine what you're going to do with the herbs once they're growing. Make pesto, teas, sauces, dry them, freeze them - I can't wait! Thankfully, the hydroponic system makes it that you don't have to wait too long. The basil (top right) had germinated by day 3 and the dill (top left) by day 6! I can just see the mint (bottom left) peeping though the growing medium on day 7. The whole set up took around five minutes - really quick and straightforward. 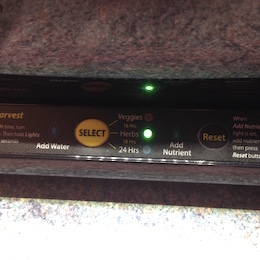 This is the control panel which allows you to select the lighting period and tells you when you need water and nutrient. 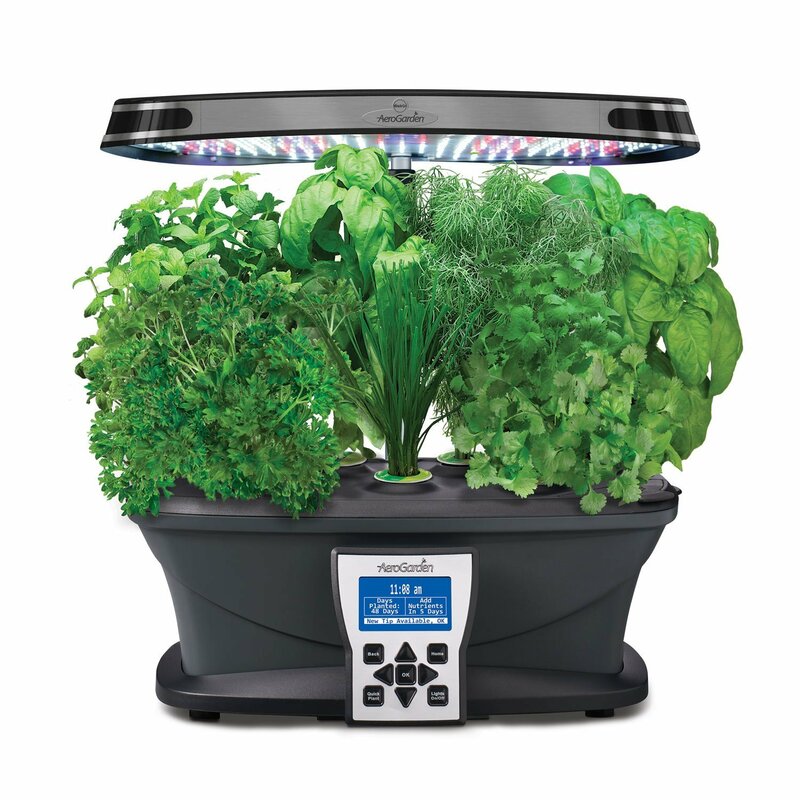 If you're growing vegetables, the light is on for 16 hours, herbs 18 hours and you can opt to have it on for 24 hours if you prefer. 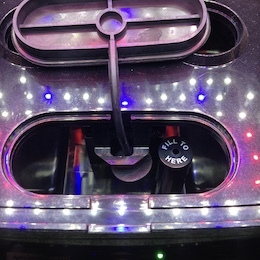 The little blue light is to tell you when you need to top up the water and there's a warning light on the right for when you have to add nutrient. 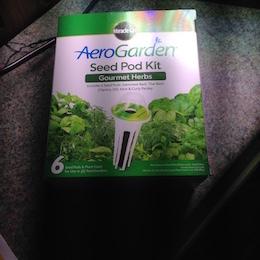 I got the Gourmet Herb seed pod kit with the Aerogarden - it contains Genovese Basil, Dill, Thai Basil, Mint, Parsley and Cilantro. 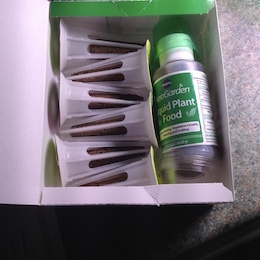 The box contains the six ready seeded pods, the plastic cloches to put on top, the liquid nutrient, a measuring cup and the instruction leaflet. The pods contain dry spaghnum moss. When you open the watering hatch, you will see a marker which tells you where to fill the water up to. It's going to end up quite full, so make sure you've put it where you want it to live permanently as there will be considerable weight there. 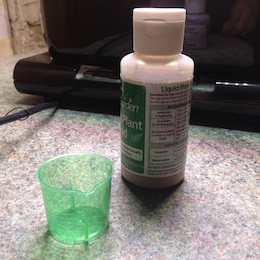 You can use ordinary tap water or distilled water - I used ordinary tap water. It took around 3 large jugs full, so that's 6 pints or thereabouts. 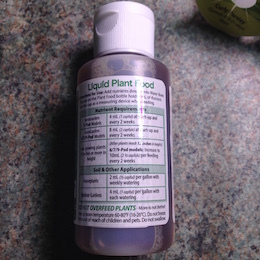 Don't use well water or softened water, the instructions say that it might inhibit growth or result in non-germination. A little tip here to make it easier is to lift the lamp to the highest position to give you room to work, pour the water and put in the pods. This is the liquid nutrient. 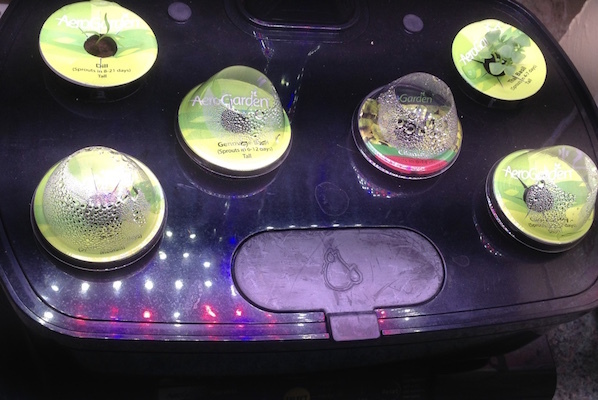 There's a chart there which will tell you how much you need and when depending on what you're growing and what size Aerogarden you've bought. 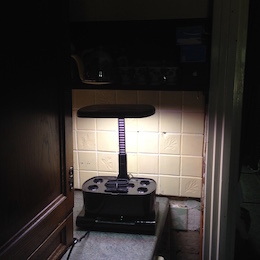 As you can see, I've set the light to 'herbs' which means it's on for 18 hours a day. It's lovely in the kitchen as when it's on in the evening, I don't need to switch the overhead light on if I'm just popping in to get a drink or use the waste bin, it gives a lovely soft light. Put all the pods in - you need to try and get the tall ones at the back, medium at the side and short at the front. It doesn't work that way in practice as the herbs are mainly tall ones - I'll have to wait and see how it all develops as the plants grow, but I'm not too worried about it. I intend to keep them fairly well cut back to get the most out of the Aerogarden. I shall use, freeze or dry them as I need to. 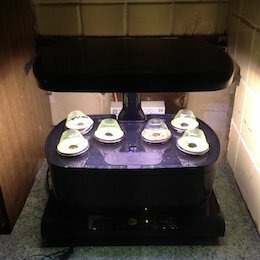 Put the plastic cloches on top of the seed pods and put the light down to its lowest position. Press the lights on/off button for 3 seconds which will set the light sequence. 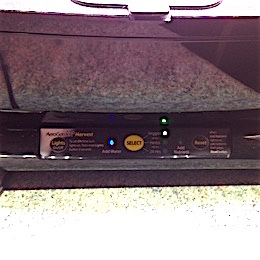 Press the Reset button to the right for the nutrients reminder - you need to do that every time you add nutrients. Keep the cloches on until the seedlings have emerged and are nearly touching the plastic, then remove them and put them to one side. I shall be experimenting over the coming months as to how to seed my own pods, so I'm keeping all the bits and shall investigate what type of material to use in the pods. You need to keep the faster growing plants trimmed back whilst the slower ones catch up - about 5 to 6 weeks. So, keep them short by picking them and using them. Keep the light at its lowest setting until all the plants have reached about 1 or 2 inches below. 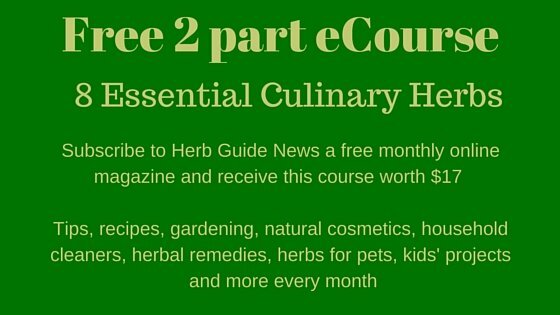 This is the answer for growing lush herbs indoors all year round.